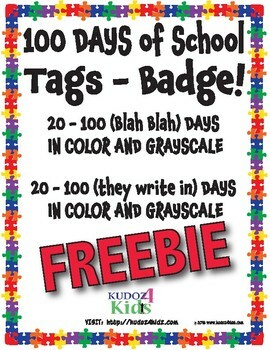 If you download this freebie, would you consider following KUDOZ4kids? There will be more freebies, fun stuff and sales you don't want to miss. We are new to TPT and we are having so much fun on this journey. Thanks to all of you! 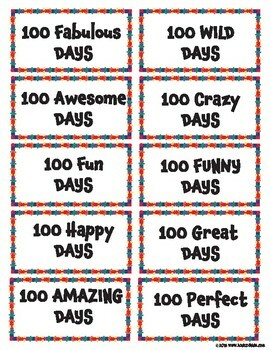 Give your students a tag - badge to celebrate the 100th day of school. 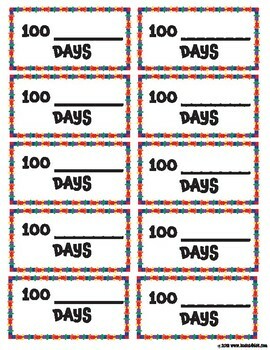 Make a bulletin board filled with student's 100 day descriptions! • Please spread the word about this product via social media or blog post. 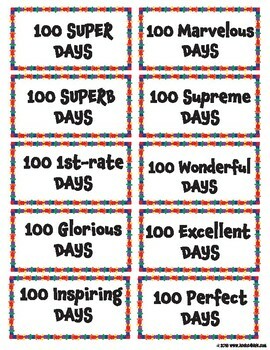 A link to the product, Kudoz4kids store or Kudoz4kids.com or kudoz4kidz.com is much appreciated. Thank you for investing in us!